RRP designed a trim system super easy to operate; the trim ring is pulled from the top making it effortless to activate. It allows better control for the rider. The top pull pivot is adjustable to control the amount of trim needed. Also one of the key features of our trim system is the tight clearance between the trim ring and components, designed to ensure minimum water pressure loss resulting in a drop of power. 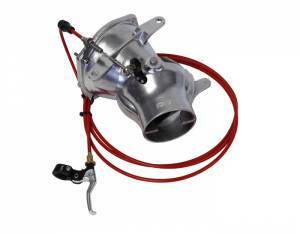 The trim comes complete with RRP steering nozzle and RRP reduction nozzle. Trim ring, trim cable lever and all hardware.